If you own a domain name purchased from GoDaddy, you can use that domain for your Webstrian website by setting up DNS Zone File to point to Webstrian. In this procedure, you'll have to configure a few settings in your GoDaddy account in order to set up your configuration to be linked to Webstrian. Changing domain settings can take up to two days (48 hours) to process. In the procedure where you link the new domain name with your Webstrian website, through the admin, if you see the error message that says that the website can’t be linked with your domain, you will have to wait until the changes at GoDaddy take effect. In order to proceed with this article, you are supposed to have a domain already registered and active with GoDaddy. Follow the next step-by-step instructions to configure your domain settings. Go to www.godaddy.com and log into your account. 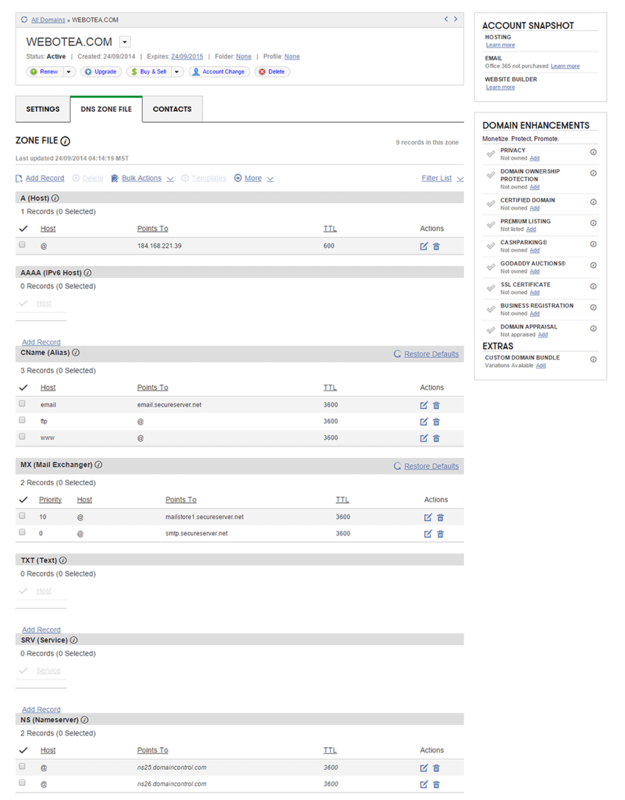 On the first screen, click the “Launch” button for the “Domains” section. This will open the “Domains” page. On this page find your domain name and click on it. This will open the “Domain Details” page (picture below). 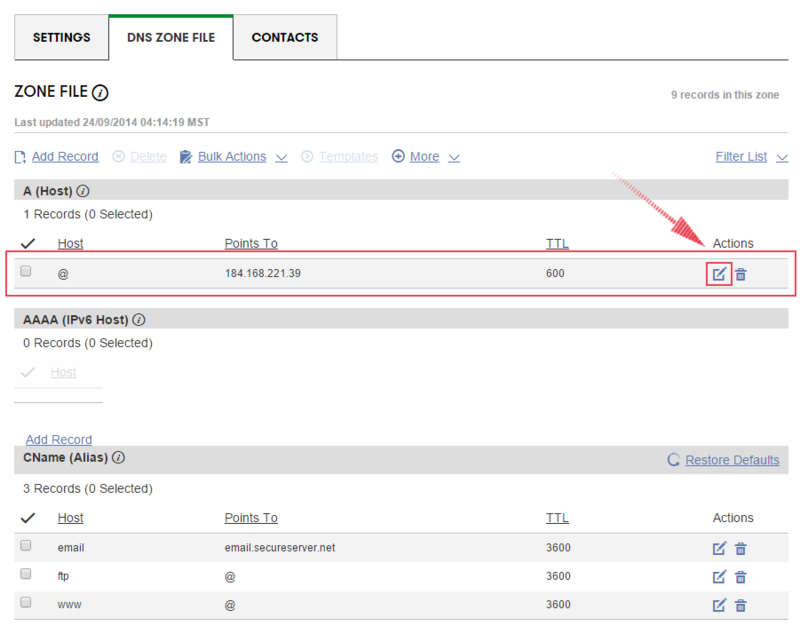 On this page click on the “DNS Zone File” tab. This will open the “Zone File” configuration tab. 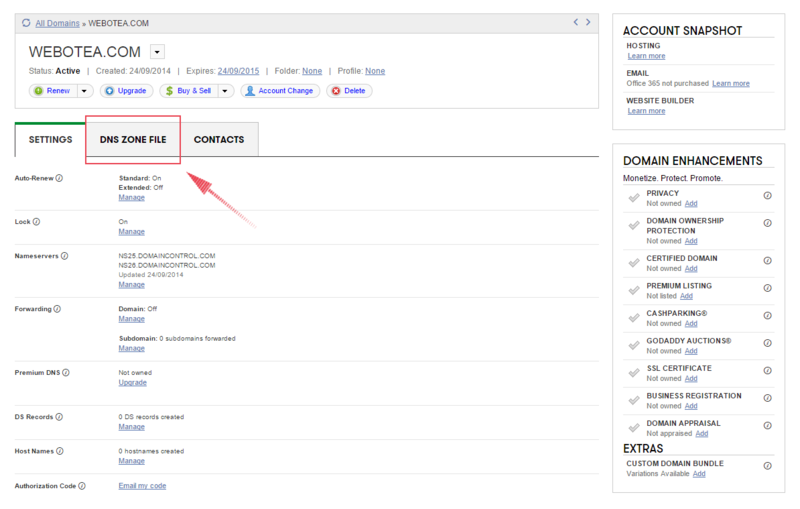 Into this tab, change the “@” record (it is on the top of the page) so it points to our IP address: 185.24.221.34. Click on the pencil icon to the right of the “@” record to open the “Edit Zone Record” dialog. This will open the dialog for editing the record. 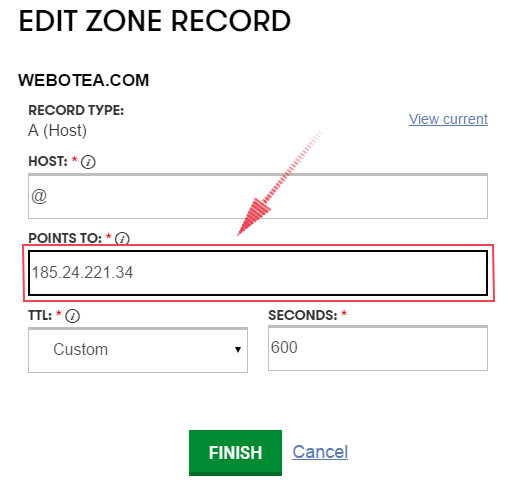 Into the “Edit Zone Record” dialog, at the “Points To” text field enter our IP address: 185.24.221.34 and click the “Finish” button. After closing of this dialog, there will be a red stripe shown on the top of the zone file tab. 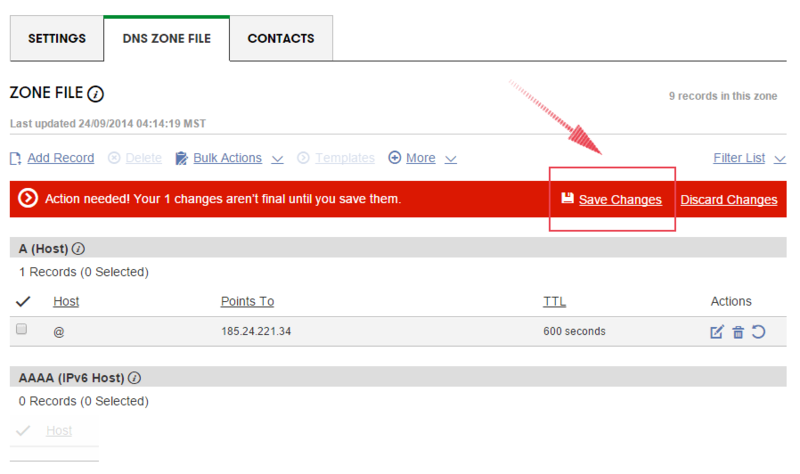 Click on the “Save Changes” button. Next, scroll down the page and find "www" CNAME record. Make sure that it points to “@”. If it doesn't, edit it and change the “Point To” field so the record points to “@”.